Rich Cohen is President of B’nai Aviv and has been a member assuming various roles for over 12 years. Prior to joining B’nai Aviv, Rich was a member of several synagogues located in Ohio and New Jersey as his career took him to different places. Today, Rich is President and General Counsel of Corporate Creations International Inc., a registered agent services provider. Rich has more than 35 years of legal, business and consulting experience focused on providing the most efficient legal services to his clients. Rich has been recognized as an AV Preeminent rated attorney every year since 1998. Rich has served on the Corporate Counsel Advisory Board of The Metropolitan Corporate Counsel and is the Editor in Chief of The Electricity Journal. He is a recipient of the Corporate Legal Times Distinguished Legal Service Award. He has served as President of Association of Corporate Counsel Central Ohio, on the Board of Advisors for Bryan University, and as Co-Chair of the Mass Tort Subcommittee of American Bankruptcy Institute. Rich is a member of Ohio State Bar Association and an authorized house counsel in Florida. He graduated from State University of New York at Buffalo and from University of Akron School of Law. Rich and his wife, Lisa, of 37 years reside in Weston. Jamie Cohen graduated from University of Florida with a degree in Mathematics. Before kids, she taught High School math and is currently a secondary education Math Tutor. Jamie and her husband Mitch have been Weston residents for 21 years and members of B’nai Aviv for 20 years. They have two sons who are ECEC alumni, had their Bar Mitzvahs at B’nai Aviv, and participated in the youth groups. Jamie has been volunteering at B’nai Aviv for the past 18 years in many different positions. She is currently the Executive Vice President and looking forward to a wonderful year. Heidi Klauber graduated from University of Florida School of Accounting and Levin College of Law. She is a senior trial attorney with the United States Department of Justice specializing in bankruptcy law. Prior to joining B'nai Aviv, Heidi was very active in Beth Ahm Israel of Cooper City, serving as Education Vice President and Executive Vice President. As Executive Vice President, Heidi served as the Chair of the merger committee and strategic planning committee. Heidi, along with the Boards of both synagogues worked tirelessly to create a smooth and successful merger. Since the merger, Heidi has been actively involved at B'nai Aviv in Adult Education, having served as Chairperson. She, along with her committee, successfully planned the Andrew Silvershein Memorial Concert and Scholar in Residence weekend held in 2016 and the annual Progressive Learning Experience, currently entering its third year. Heidi is married and has two college aged children. Mitch and his wife Pam moved from Miami to Weston in 2002 and they have been members of B’nai Aviv ever since. B’nai Aviv has been a vital part of their family’s life and they have had the pleasure and honor of seeing all three of their daughters have their Bat Mitzvah at B’nai Aviv. This is Mitch’s first time serving on the temple’s board of directors. Mitch is a CPA and a principal at Imber & Company, PA, located in Hollywood, Florida. Originally from Des Moines, IA, Ari has been a Florida resident since 1989. Ari began his career in the financial services industry as the Director of Operations of a currency brokerage firm. After leaving the firm he began his own management consulting company helping organizations with business development and operations both domestically and internationally working in Europe, Asian, and Australia. A serial entrepreneur at heart, Ari is currently an owner/managing partner of a marketing and growth consulting firm helping clients to grow their organizations and increase sales leveraging digital and traditional advertising, social media channels, and website properties. Ari is married to Ava and they have two children 4 and 2 years old. 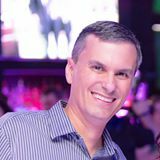 Kurt Wasser has been a member of Bnai Aviv for 12 years and was previously the Executive Vice-President of Early Childhood Education Center (ECEC). Growing up in Tampa, he was a member of Kol Ami and was president of the USY chapter there. After attending Young Judaea Year Course in Israel, he attended the University of Florida and earned a B.A. with a major in History and a minor in Judaic Studies. He returned to UF to earn a Master’s in Secondary Education and, after teaching in Broward County for several years he obtained a Specialist Degree in School Psychology from Nova Southeastern University. Currently, he is a Certified & Licensed School Psychologist in the State of Florida and a Nationally Certified School Psychologist. For the last 15 years, Kurt has worked with Broward County Public Schools and maintains a Private Practice. Kurt has taken an interest in advancing the world of School Psychology by writing articles for national publications, presenting for various national, state and local associations, and serving the community as previous President of the Broward Association of School Psychologists and executive board member of the Florida Association of School Psychologists. Leanna Blacher has a master’s degree in landscape architecture from the University of Florida. She changed careers after several years in the field to go to culinary school at the French Culinary Institute in New York City. After starting a family, Leanna started her own small catering business in south Florida. After learning soapmaking as a hobby, she then started a company to sell soaps and bath and body products. She currently lives with her 3 children and husband in Cooper City. Dale has been a Weston resident for 21 years and a member of B'nai Aviv for 17 years. She and her husband, Mark, have raised their 4 children at the synagogue, from Baby Namings, ECEC, Religious School and USY. Throughout the years, Dale has served on the ECEC, Religious School, and Gala Committees, and has been a board member. She is now currently Membership Vice President. Joe and his wife, Heather, are both South Florida natives, and have lived in Pembroke Pines since 1999. Their children have all attended David Posnack Jewish Day School, and Camp Ramah Darom. Joe and Heather were members of Beth Ahm Israel prior to its merger with B’nai Aviv, and Joe served Beth Ahm Israel as both Membership Vice President and Ritual Vice President. Joe is a practicing tax and estate planning attorney.